iStat Menus 5.32 (735) – Monitor your system right from the menubar. Fixedan issue with the sun position in light map. Next story 1Password 6.8.1 – Powerful password manager. Previous story Acorn 6.0.2 – Bitmap image editor. StatsBar 2.3 – Monitor system processes from the menu bar. 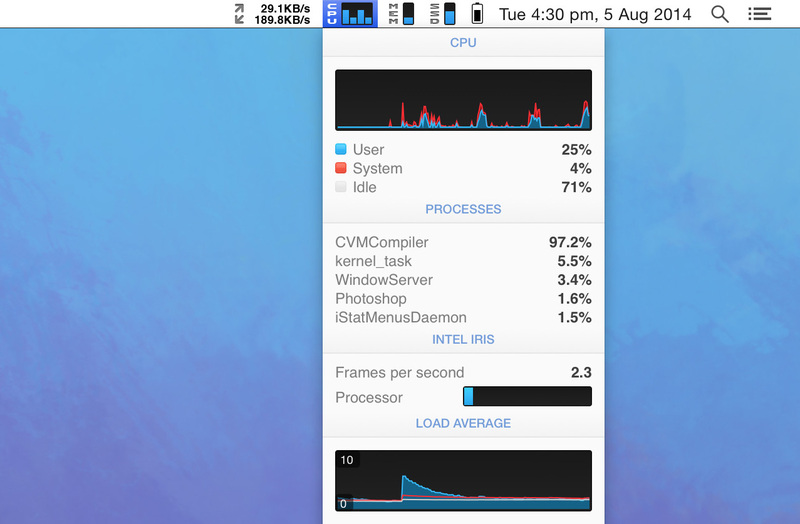 iStat Menus 5.02 – Monitor your system right from the menubar.